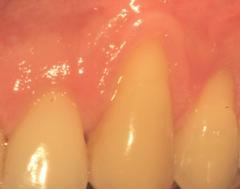 Minimally Invasive Periodontal Surgery is surgery designed to minimize the trauma of surgery. Procedures are carried out using the Surgical Microscope and microsurgical instrumentation which are smaller and sharper than traditional surgical instruments. Minimally Invasive procedures are carried out by making smaller incisions and the surgical techniques are designed to minimize tissue damage. You may be familiar with arthroscopic surgery where knee surgery is done now days with very small incisions rather than opening up the knee to make repairs. As a result there is less surgical trauma to your tissues. Less trauma means your tissues have less damage to repair post-surgically. The ability for your tissues to recover is improves. Less trauma results in less swelling, less discomfort and faster healing for you. Very sharp instruments are used which cause virtually none of the tissue tearing that is evident with regular scalpels, when viewed under the microscope. Less tissue tearing means less tissue damage. Microsurgical instrumentation is much smaller than traditional surgical instruments because the surgical field is much smaller with minimally invasive surgery. They reach into areas that traditional instrumentation is too large to access. Since the microscope is used accuracy in incisions is greater which means tissue adaptation is much better. 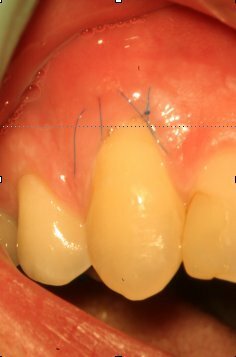 Smaller sutures are used which also is less traumatic to tissues. The combination of less tissue trauma, smaller incisions, smaller surgical fields, better tissue adaptation and smaller sutures means faster healing with less discomfort, swelling, and a better surgical result. This means you are more comfortable post-operatively and you recover more quickly.